I was struck by this wonderful photo when it appeared on Facebook a few days ago. It was taking at the Mass for the Assumption of the Blessed Virgin at the shrine of Our Lady of the Garden Enclosed in Warfhuizen, and it shows the heart of our faith: Our Lord Jesus Christ under the appearance of bread and wine elevated before his faithful. Holding the consecrated host is Father Arjen Jellema, while Brother Hugo, the deacon hermit of the shrine, looks on. Brother Hugo and the shrine of which he takes care are currently preparing for his ordination to the priesthood, scheduled for 6 September. For the shrine it means construction work: the altar has been made wider and it will also receive a fresh layer of paint. For the brother it means learning to say the Mass. He will be offering Mass in both forms of the Roman Rite and ad orientem for those parts of the Mass that call for it. Next Saturday, Brother Hugo will begin his retreat in preparation for his ordination. For now, Masses at the shrine are scheduled on weekdays at 7pm, on Saturdays at 5pm (a pilgrim’s Mass for Mary) and on Sunday at 8am. The Blessed Sacrament has been no stranger at the shrine, of course, but with the celebration of the Eucharist the very centre of our faith and Church has now found a home there. Yesterday I took part in the annual procession at the shrine of Our Lady of the Garden Enclosed in Warfhuizen. Usually held in May, practical reasons had it pushed back to June 6, the eve of Corpus Christi (moved to the nearest Sunday in the Netherlands). The procession was preceded by a Mass in the small shrine, celebrated by Father Arjen Jellema, who also carried the Blessed Sacrament in the procession, and the hermit residing at the shrine, Brother Hugo, served as deacon (considering he is a deacon, and a priest come September). I was pious decoration at the Mass, but announced the presence of the Lord in the procession by continuously ringing altar bells, positioned as I was before the two thurifiers and the Sacrament. The photos below appear courtesy of Marjo Antonissen Steenvoorde and the student chaplaincy of St. Augustine from Groningen. As the year ends, it is once more time to look back at the past year in this blog. It wasn’t quite 2013, but there was still enough to write and think about. I have been a bit less active in writing, for reasons of real life, but the number of page views in 2014 still topped out at close to 100,000. An altogether satisfactory number. In this review of the year, I will look back on various topics that kept us busy in 2014. There have been many interesting things going in locally, some positive, some negative, but together they reflect the life of the Catholic Church in this country. From Roermond, the case of Bishop Frans Schraven, a martyr for the faith in China, was sent to Rome in light of a future beatification. The financial numbers of 2012 were published and showed a continued downward slope. The Dutch government sent a new – and royal – ambassador (pictured at left) to the Holy See. The Congregation for the Religious sent their second man to meet representatives of religious orders in the Netherlands. Monks of a declining abbey announced that they would be moving to a small island of the northern coast of the country. Personally, I experienced a rain-soaked but satisfying pilgrimage (at right) to another religious site in the north. The Dutch bishops felt the need to stand up against a resurgence of anti-Semitism, and they also announced the upcoming publication of a new Missal translation. My own diocese saw the ordination of two new transitional deacons, while the sole hermit residing in that same diocese also announced the good news of his own upcoming ordination. Protestant clergy discovered the benefits, if not the deeper meaning, of the Roman collar. A community fighting the closing of their local Church appeal to the Pope. Catholic Voices, the successful communications initiative from the UK, launches a Dutch chapter. 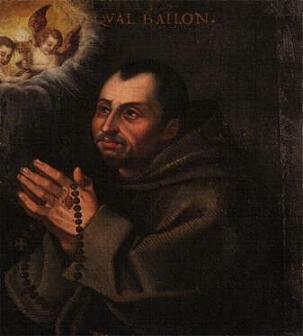 The retired archbishop of Utrecht, Cardinal Ad Simonis, is the subject of a major biography (cover at left). And in Nijmegen, the Diocese announces changes to the local university chaplaincy. The archbishop of Utrecht remains unenviable as he continues in his work as president of the Bishops’ Conference, member of the Curia in Rome, and all too often a scapegoat. This year, he made headlines when stating that the decisions of the Council of Trent are still current, which caused resentment among ecumenical partners. He was also accused of vetoing a papal visit to the Netherlands, which turned out to be quite untrue, and the bishops ended the rumours by releasing a joint statement. By the end of summer, a debate erupted about the future of the seminaries in the Netherlands. Some parties advocated the creation of one or two major seminaries, while others were in favour of continuing with the current six. The majority of seminary directors seemed to favour the first option. Earlier in the year, the Archdiocese of Utrecht, restarted its own seminary (first class, staff and family at left). The world remains interested in Pope Francis, and it was no different in this blog. First up, there was his first consistory, in which he created 16 new cardinals, including a fair few unexpected ones. The Holy Father was interviewed by young people from Belgium (at left), an interview that was also televised. Later, the Pope also sent a personal note to the Netherlands, to the participants and organisation of the Catholic Youth Festival. 50,000 altar servers from Germany made a pilgrimage to Rome, where Pope Francis spoke to them. The national Church of the Dutch, the Church of the Frisians, marked the anniversary of its dedication, and Pope Francis sent a note of congratulations. The Pope’s decision to terminate the appointment of the commander of the Swiss Guard led to much rumour, which proved unfounded later. Pope Francis clarified this and other questions in a new interview. By the end of the year, Pope Francis announced his second consistory. Finally, his Christmas address to the Curia caused new shockwaves, but deserves a good reading by everyone. There has been a fair amount of new appointments in 2014, and especially in Germany. First Fr. Herwig Gössl was appointed as auxiliary bishop of Bamberg. Cardinal Reinhard Marx (at left) was elected as the new president of the German Bishops’ Conference, in addition to his many other duties. In Essen, Bishop Franz Vorrath retired and Fr Wilhelm Zimmermann was appointed as new auxiliary bishop. 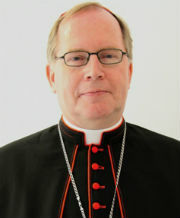 Archbishop Werner Thissen of Hamburg retired while his successor remains to be appointed. Fr. Stefan Oster was appointed as the new Bishop of Passau, and Fr. 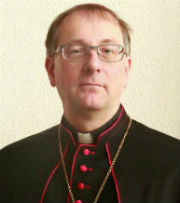 Stefan Burger was the new Archbishop of Freiburg im Breisgau. The Diocese of Erfurt was finally given a new bishop in the person of Bishop Ulrich Neymeyr, after waiting for two years. The biggest appointment of the year was in Cologne, where Cardinal Rainer Maria Woelki (at right) returned from Berlin to succeed Cardinal Joachim Meisner. While there were no new bishops in the Netherlands, a Dutch priest was appointed to represent the Holy See in Sudan and Eritrea. Father Bert van Megen (at left) was consecrated by the Vatican Secretary of State, Cardinal Pietro Parolin. In Rome, there were also some notable appointments: Cardinal Antonio Cañizares Llovera left the Congregation or Divine Worship to become Archbishop of his native Valencia. He was later succeeded by Cardinal Robert Sarah. Lastly, Pope Francis appointed a new camerlengo and vice-camerlengo. The big topic in the second half of the year was the Synod of Bishops’ Extraordinary Assembly on the family. In the eyes of the rest of the world, Germany remains a focal point of liberal trends that are at odds with Catholic teaching. That is not always true, but some bishops did strengthen that opinion. Bishop Ackermann of Trier was the first to be criticised for his comments on marriage and sexuality. From Brazil, Austrian-born Bishop Kräutler made comments on celibacy, the ordination of women and the Eucharist, and is said to have the Pope’s blessing to develop these ideas further in Brazil. In Belgium, Bishop Johan Bonny (at left)was the loudest voice to advocate changes in the teachings on marriage, both before and after the Synod. At the Synod, Belgian Cardinal Danneels spoke in favour of mercy, but did not go as far as Bishop Bonny. In the Netherlands, Bishop Rob Mutsaerts explained that the Synod was not about changing doctrine, and Bishop Gerard de Korte stressed the importance of mercy and finding new words to reach people. How doctrine can change remains an important question. Spilling over from last year, the final acts of the case of Bishop Franz-Peter Tebartz-van Elst (at right) and the Diocese of Limburg played out as it became clear that the Vatican did not want the bishop to stay. He was to retire and Bishop Manfred Grothe, auxiliary bishop of neighbouring Paderborn was appointed as Apostolic Administrator. The last statement of Bishop Tebartz-van Elst spoke of forgiveness and a new beginning. Bishop Grothe presented an overview of the situation since then in his letter for Advent. The sexual abuse crisis, while quieter than in the past, still continues, with a few shocking revelations and continuing developments in helping the victims. In 2014, three claims of abuse against the late Bishop Gijsen (at left) were deemed plausible, and the late Bishop Niënhaus, auxiliary of Utrecht, was revealed to have been guilty of sexual abuse. Shortly after the news about Bishop Gijsen, Bishop Frans Wiertz of Roermond offered a Mass of penance and reconciliation and said that there is no excuse for sexual abuse by people of the Church. Later, a court decision forced the bishops to continue accepting new claims of abuse by deceased perpetrators, or cases which happened too long ago to be pursued by a court, until well into 2015. This blog has a clear focus on the local Church in Northwestern Europe, and also on Rome of course, but sometimes events in other parts of the world deserve a place here. In fact, the most-read blog post of the year, with more than 3,900 views, is in this category. 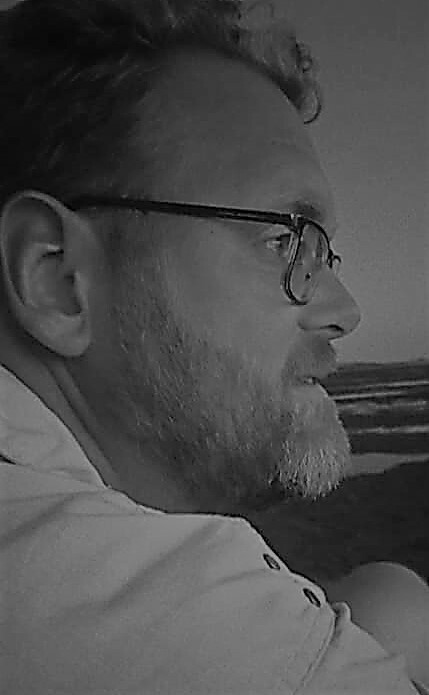 It is the sad news of the death of Fr. Frans van der Lugt (at right) in Syria. Another death, this time because of a car crash, was that of Dutch-born Bishop Vital Wilderink (at left) in Brazil. Also in South America, the retirement of the Bishop of Paramaribo, also a Dutchman, mad me wonder of his successor would be a native son of Suriname. And then there was the shocking crash of flight MH17 in Ukraine, shot down by rebels, killing 298 people. And lastly, Rome also had its say in various developments and decisions which came down to us. The Congregation or Divine Worship urged for restraint in the sign of peace during Mass, Pope Francis married 20 Roman couples and changes in the Curia gave some indications of the future.